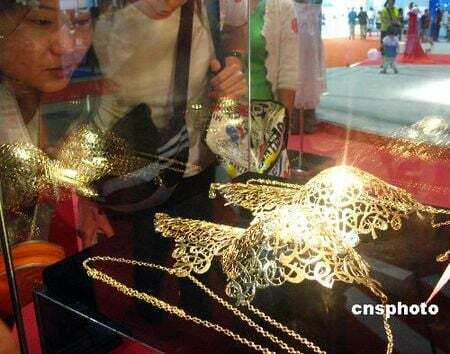 We’ve come across a wide range of products taking shape in 24 karats gold. This includes solid gold bra and lingerie sets, afternoon tea, cigars, iPads, smartphones, nail polish, facial, and even a lollipop! Elongating the list further is a new royalty-inspired lingerie collection from the house of Rococo Dessous – undergarments made of 24-Karat gold thread. The royalty is inclusive of popular names in history – Cleopatra, Marie Antoinette and Tsarina Alexandra who in their era considered gold woven clothing material the most precious. Designed by former Victoria’s Secret designer Breanna Lee, the entire collection featuring gilded bras, underwear, and nightgowns includes embroidery in 24-karat gold thread, which comes from a special Swiss gold fabric. Each lingerie set from the collection bears the name of the woman who has inspired it. The collection has lingerie designs in two variations – one – gold on black and the other gold on gold. The 24-karat gold threads have been woven as such that it doesn’t directly touch the skin, and is very comfortable to wear. Moreover, you can even wash the lingerie, but delicately. Retailing at a price range from $3000 to $6000, the 24-karat lingerie collection can be availed only through private appointment from select boutiques. Further embellishments can be added, but for an extra fee. 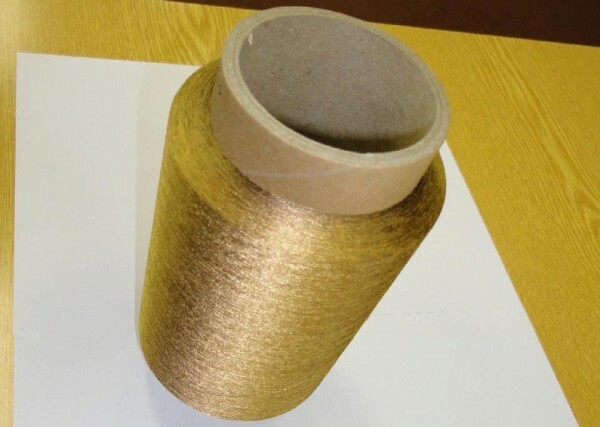 A spool of our real gold yarns!